I'm Karon an independent florist in the Centre of Sheffield. I have a shop in S1 on The Moor. I specialise in bespoke floral design, with a natural look. 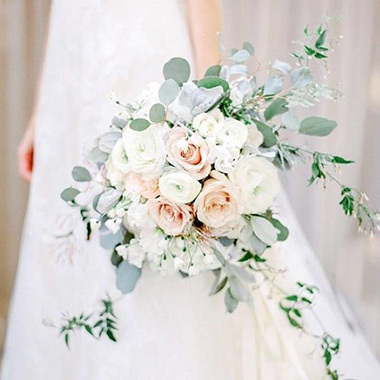 From elegant gift bouquets, personal sympathy designs to wonderful weddings, I offer a very individual personal service. I also love British Flowers and have recently had the opportunity to work very closely with ‘Flowers From The Farm’ growers and use their seasonal flowers (#grown not flown). 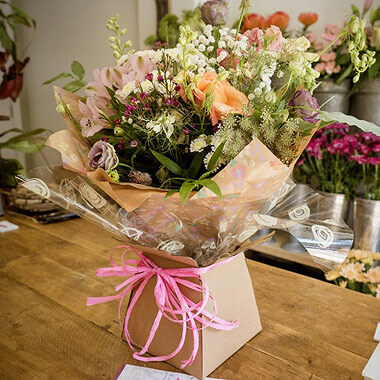 I collect our British grown flowers from two local growers who are both less than 12 miles from home. As well as my local growers I have a small cutting garden and combined we can provide the exact look you require. Flowers could not be any fresher - and the smell is amazing! 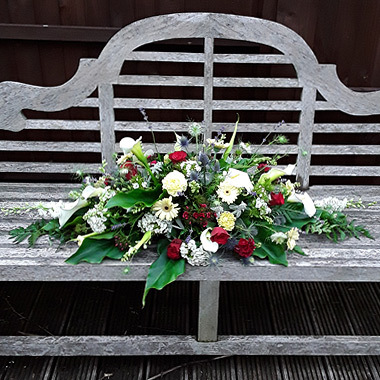 There are occasions when other avenues are used and we work closely with local suppliers to ensure we gather the best combinations of flowers and colours. Our shop is full of colour and complimented by an array of indoor plants adding to the ambiance. We have all sorts of varieties from Cacti, Succulents through to Ferns and these change regularly so there is always something new to entice you in. They make a great gift as well as enhance the look of the house!